I have traveled alot and have learned the many advantages of renting vacation spots from owners and use VRBO for my own travel planning. I know the 'business' of renting from owners, from both sides, and try to bring that understanding to help the needs and concerns of my guests. Our units have balconies that actually hang over the water of the lake. You can fish straight down! That unique feature brings guests back, time and again. Our location adjacent to a marina, and with a wide expanse of waterfront acreage and amenities to roam, makes us unique on Lake Conroe, and even among vacation spots in general. We love watching the sunrise, from our balcony. The basketball court, lighted tennis courts, and kid's park are waterfront! We love being next to the marina, with it's free boat launching and availability of over-night dockage, complete with water and electric to every slip. The fishing from the balconies is quite good and provides something kids and older adults can do with safety and comfort. We know we are 'a best kept secret', here at Seven Coves, but, we love to share our quiet little lake spot with our guests. You can't get more lakefront! Your balcony hangs over the lake! This is the only location on Lake Conroe with balconies that hang over the lake. Fish from your balcony! Just perfect for our needs! Very well appointed and perfectly situated for our family’s stay! Our girls had a great time on the balcony overlooking Lake Conroe. Would certainly stay again if back in town! 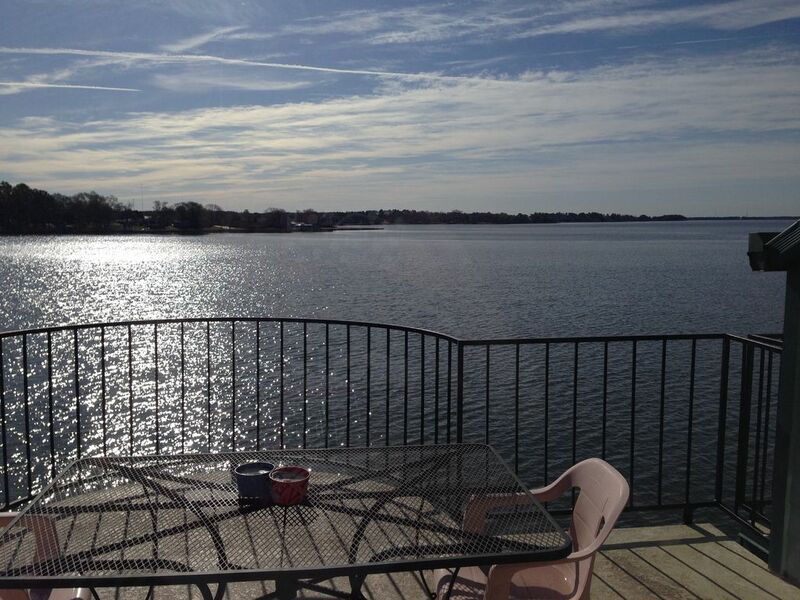 Great condo overlooking Lake Conroe. I will be staying there again. Clean and a great view! Stayed there for an A&M game—great rental on the lake with great views! Owner is very prompt and responsive. Great location on the water and close to restaurants and supply stores. Unit clean and comfortable as pictured. Had a great time with family and friends neighbors were really friendly owner was really nice overall had a great time great lake experience will book again. Jet Ski, Pontoon and Ski-boat Rentals on-site.